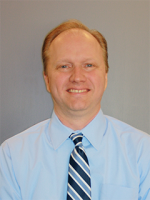 Dustin Beebe, P.E (BSChE 1996) – Dustin began his career with ProSys in 1996 as an Associate Engineer. He helped to develop advances in alarm management software in addition to completing engineering projects for some of the largest refineries in the US and UK. Dustin was elected Vice President and began serving as Chief Operating Officer in 2001 followed by his acceptance of the President and Chief Executive Officer (CEO) positions in 2009. As President and CEO, Dustin guides all global operations, including providing leadership to the German and US offices. He establishes and communicates ProSys’ strategy and vision of maximizing the customer’s control system by providing innovative services and software to solve our customers’ ever-increasing challenges. Dustin is committed to continuously advancing control technology as a key to providing value to customers. In addition to his executive duties, Dustin directly serves customers by using his experience and expertise in alarm management and advanced control to assist them in dealing successfully with complex unit operating problems. The University of Arkansas, College of Engineering presented Dustin with its Early Career Award in 2013. Dustin is a registered Professional Engineer in Louisiana and Texas and serves on the Ralph E. Martin Department of Chemical Engineering’s Industrial and Professional Advisory Council. Dustin resides in Baton Rouge, La. his wife, Diana Beebe, (BSIS 1996) and their three children, Caitlyn (13), Lauren (9) and Joshua (7). They are active members of Woodlawn Baptist Church where Dustin is very passionate and a leader in the Upward youth basketball ministry. He is also working on obtaining his pilot license.